How do you treat an animal? Right out of the gate let me warn you that there may be some pictures on this post, and definitely some on the links, that may bother you. If they don’t, that should bother you. I am stunned as I read about an Alberta woman who has been on the SPCA and provincial government radar in Alberta and Saskatchewan for almost a decade. She has had animals taken from her 3 times now and has been convicted of neglecting them. 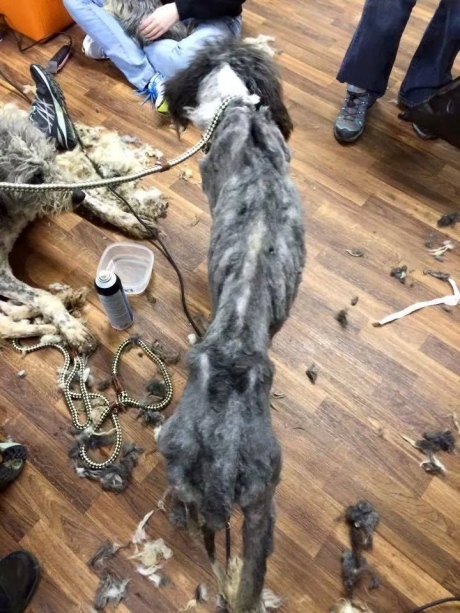 In the last month, 201 dogs have been confiscated from her rural residence in the small town of Milk River, AB, just North of the US border. My question is what are we going to do about it? She had previous issues with the Alberta government and then went to Saskatchewan and continued her pattern af animal neglect. I don’t think I can call it animal abuse because it seems like she legitimately loves the animals, but who can love 201 dogs? How they hell could she remember their names? Regardless of how she felt, they weren’t being fed and did not have access to water. Of the 201, only 2 dogs died and the other 199 are expected to see full recoveries. At what point did this woman think that feeding 201 dogs would be something that she could afford? Logic alone would dictate there would be a problem and this should be used to prove intent. She got off the 2007 charges because the court could not prove that she intended to hurt the animals. Repetitive carelessness toward her animals has got to be worth something to the court. The maximum penalty in Alberta is $20,000 and she could get a lifetime ban from owning animals. Let’s just decide right now that this is what we are aiming for. If the prosecutor asks for one penny less he should be fired immediately. What should happen, is this case should be used to help change the laws. A repeat offender with three dogs should not be held to the same consequence as to what this horrible excuse for a human should be for what she has committed. Yes, I think she is a waste of skin. The law needs to allow for prison for people like this. And maybe we should start looking at in-kind punishments of some sort. Let her get food and water once a week and see how she feels going down to 70 lbs soaking wet. AARCS and the SPCA collected 201 animals from the Milk River residence of April dawn Irving. It drives me nuts that I am filled with sadness for animals I don’t know and don’t love. You can ask my wife and kids and they will tell you that I am no animal lover. Our dog, Blizzard, has cost me thousands of dollars from when he was a puppy but I have to admit that he has turned out pretty cool. My kids and wife seem to love him. Of course right now my children and wife are reading this and getting mad that I am calling Blizzard a “he” when he most definitely is not a he. They don’t fully understand that I simply do not care. As much as I do not care for this animal that licks my feet at the foot of my bed, I respect her as an animal and enforce my family to care for her if they forget. Ask my kids how upset I get when they neglect the dog and you will see eyes roll. Now when I say neglect, I mean nobody walked the dog, or the water dish is empty. If I found out that the water dish had been empty for a week I would likely smack someone. And saying that might get me in trouble but maybe I was just making a point to find a liberal parent out there gasping at my last statement… maybe I wasn’t talking about smacking one of my kids, but a liberal parent who commented on my parenting? Who’s to say? 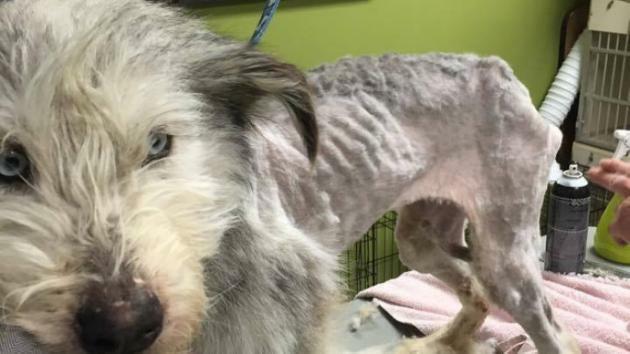 Regardless of who I would smack for mistreating an animal in my care, it is the government’s job at this point to smack people for mistreating animals like April Dawn Irving has and she is in dire need of a good smack. Now we still have to go through court to determine guilt, but as we do this, we should be making sure that the punishment fits the crime and my problem here, and the point of this posting, is that there is no punishment to fit this crime. The maximum sentence is a fine she can avoid by moving and a ban that nobody can enforce! Once the court slaps her with a restriction to never own an animal again, social media needs to step up and show her face to everyone in North America to ensure that everyone knows who she is and what she looks like so that we as a community can ensure that she never has the care of an animal again. If you can donate anything… please do so… these organizations do a wonderful job and they have always provided our family with wonderful pets… except those crazy awesome hermit crabs… they came from a store.